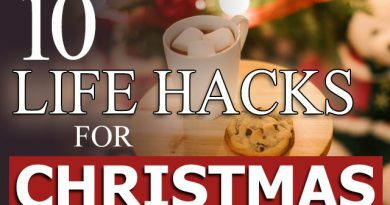 But, add the flurry of extra activities at the holidays and it can take a toll on just about anyone, even the most organized among us. You should always do some holiday party planning so that the event runs as smoothly as possible with the least amount of fuss on your part. 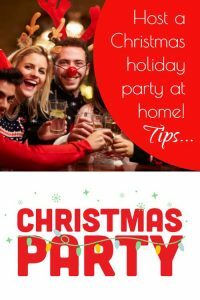 Here are some basic planning tips you can follow so that hosting a holiday party at home will be easier to pull off from the beginning and an over-the-top success when all is said and done. You want to start out by setting the date for your party as early as you can. There are a lot of parties given in December and you don’t want to get a lot of, “Sorry, can’t make it” replies because someone else’s party was scheduled first. Remember that more is not always merrier. You don’t want to invite so many people that everyone is packed in elbow to elbow. Don’t feel as though you have to invite everyone you know. Perhaps keep the guest list “themed” so that this time you just invite people who live in town. Next time you invite those you work with. The next time it’s just immediate family, and so on. Send out invitations to those you really want to spend time with. You can send out invitations via snail mail or through email and there are even some free email invitations you can use for your party. Walk out of your house and back in. Does it have a Christmas scent? If not, you can prepare the scents in your home before the party by using cinnamon scented pine cones or you can simmer orange peels and cinnamon in a pot on the stove. You can also sprinkle scented oil such as warm cookies in your vacuum cleaner bag. Run it over the carpet or floor and it’ll give off a nice scent. Keeping your party set to a certain theme will help keep the planning focused and actually more fun than one that is bland, ho-hum, and generic. Is your party going to be formal or casual? Will your party be for women only? Men only? Will it be a family party? Adults only or kids too? You can base your theme around the tone of your party. If you’re going to have a theme party, stick with one or two colors max. You can have a winter wonderland party by having only silver colors. From the decorations inside to the sprayed silver silk poinsettias lining the walk outside, you can make your home sparkle like a winter day. Hang hundreds of tiny white Christmas lights throughout your entertaining area. You can use white dishes to set your table with and white candy canes for seating markers. This theme party takes some of the pressure off the person hosting the party because the snacks are brought by the guests. Send out invitations and every person attending has to bring a favorite cookie recipe along with a plate of those cookies. If you have children as most of your friends do and desire to have a party where the kids can feel like a part of it, have a simple project ready for the kids to make that can be completed during the party. You can host an elegant get together with your friends and family and give the grown ups a night out. Break out the best china. Remember that white is always elegant, so incorporate that when you’re decorating. Serve champagne and have room for slow dancing. It’ll be a night your loved ones won’t forget. There are so many Christmas ideas for holiday party planning that you might get overwhelmed just trying to decide which one you want to choose. Brainstorm all the ideas you have. Write them down, then pare that list to just a few key items: Date, guests, theme, food, supplies, decorations, gifts. Then, once you have those decisions, stick to them! If you keep wavering on different aspects of your party, more time goes by and less “doing” actually gets done. That can lead to overwhelm and stress. Make your plan and work it! And keep this in mind: You can always try out another idea the following year! Want More Christmas Holiday Entertaining Ideas For the Perfect Party at Home? This video offers a lot of excellent ideas for party planning, getting your home decorated and ready for guests, food and drink tips, and more.